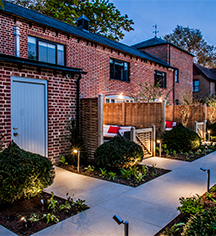 With 128 luxuriously appointed guestrooms, each varying in design and layout, Sopwell House manages to offers its guests a glimpse into the historic English past while still providing modern 21st century comforts and amenities. Visitors can choose from secluded, garden luxury suites, standard guestrooms, and spacious, family-style suites. Visitors can treat themselves to a bit of relaxation at the on-site spa or take a short jaunt to the Museum of St. Albans. Harry Potter fans will love the Warner Bros. Studio Tour London, where visitors can get an inside look at the The Making of Harry Potter. If simple relaxation is the priority, the Hertfordshire countryside is a lush soothing English countryside to alleviate strained eyes. 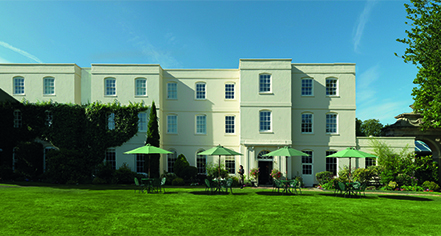 Sopwell House, a member of Historic Hotels Worldwide since 2015, dates back to 1603. In 1670, the Earl of Verulam purchased the house and constructed the nearby Sopwell Nunnery, believed to be the place Anne Boelyn took refuge after her secret marriage to King Henry VIII. Cribs and Pack-in-Plays: Available upon request; GBP 15 per night. Deposit: A deposit of GBP 100 per room per day is requested at check-in. Early Check-In/Late Check-Out: Subject to availability. Please contact hotel the day prior to arrival for early check-in. Late check-out is available at an extra cost, please contact hotel for exact rates. In general, check-out before 6:00 p.m. is available for half room rate, after 6:00 p.m. is available for full room rate. Extra Person Fees: GBP 40 per extra person, including extra bed. Pet Policy: Service animals allowed: Guide dogs welcome. Pets allowed: No. Rollaways: Available upon request; GBP 40 per night. Learn more about the History of Sopwell House .